At MEBULBS™, we offer a wide selection of energy efficient fluorescent bulbs in three grades for different budgets. 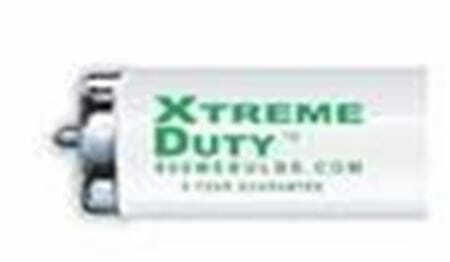 Choose from residential, light commercial or industrial grade Xtreme Duty™. Our Xtrabrite® color technology brightens and whitens the dimmest garage. We have F32T8, F40T12 and F96T12 bulbs to fit the most common garage light fixtures. 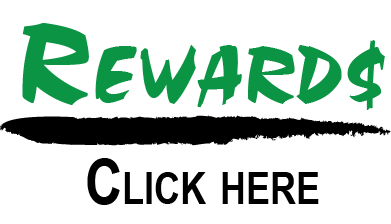 Depending on the product line you choose, these bulbs come with a 1-year to 7-year guarantee. Our F32T8 fluorescent lights are available in residential, light commercial and Xtreme Duty. The residential lights (comparable to big box store lights, but better) and the commercial grade lights include a one-year and three-year warranty, respectively. They feature 4225 seeable lumens, with 30 percent lumen loss. The Xtreme Duty version emits 4760 lumens, with under 9 percent lumen loss. These lights are guaranteed for seven years. The F40T12 fluorescent lights are Xtreme Duty lights with AlpineWhite 5000K bright white color. They provide 5416 seeable lumens. These lights are TCLP-compliant with low mercury content, and they have a medium bi-pin. Choose from models with a five-year or seven-year warranty. The F96T12 fluorescent light features 5000K color temperature and is part of the Xtreme Duty collection. It features 8800 seeable lumens with fewer than 9 percent lumen loss and a single pin base. This light comes with a five-year warranty. Why Use Fluorescent Tubes Instead of Incandescent Lights? Fluorescent lights are more energy efficient than incandescents, and they cost less than LED bulbs. They produce very bright light that is evenly spread. As with incandescent bulbs, they’re available in different white hues for soft and warm or bright white light. With many different styles and various lighting technologies and quality grades to choose from, MEBULBS offers homeowners, designers, business owners and contractors the perfect lighting solution to fit their use and budget. In business since 1974, our decades of lighting expertise give us the necessary knowledge to help our customers choose the best products to match their needs and requirements.